La Arrocería 101 Arroces is a traditional restaurant offering Mediterranean cuisine. The average price of a 3-course meal at the La Arrocería 101 Arroces restaurant is 30 euros. Note that although GoMadrid.com strives to maintain all information about La Arrocería 101 Arroces up to date, the prices mentioned are only an indication and may not reflect the exact value of your meal. This restaurante specialises in paellas and other rice dishes, paying special attention to the quality of ingredients used. The rice is home-grown by a cooperative in Tarragona and is available in the Bomba, Basmati and Carnolli varieties, this last one ideal for risottos. The restaurant is closed on Monday and on Sunday it opens only at lunchtime. There is a public carpark nearby in Plaza Republica Dominicana. 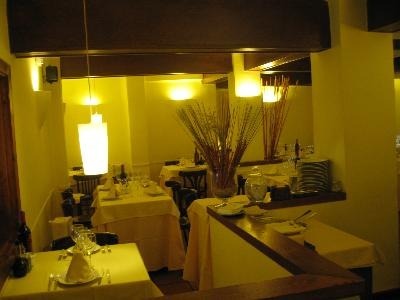 The address of the La Arrocería 101 Arroces restaurant is: Avda Alberto Alcocer 42, 28016 Madrid. The nearest Metro station is Colombia. Please see the La Arrocería 101 Arroces restaurant location map below.